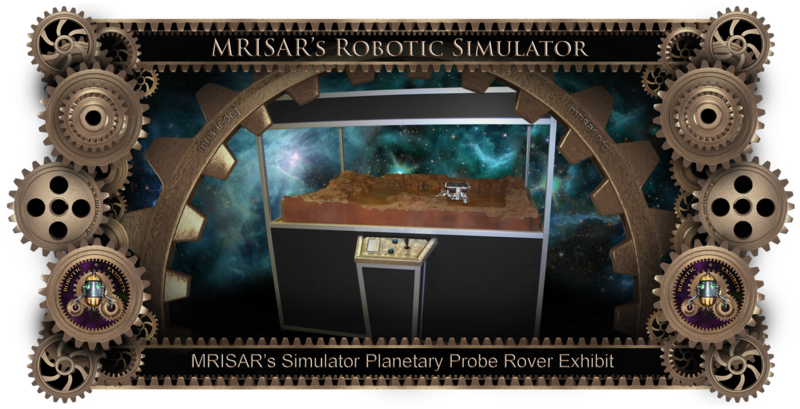 This is a Simulator Planetary Probe Rover exhibit that features an artificial terrain of a hypothetical planet with a working probe robot, which examines its surroundings when operated by the museum visitor via a set of push buttons and a joystick. 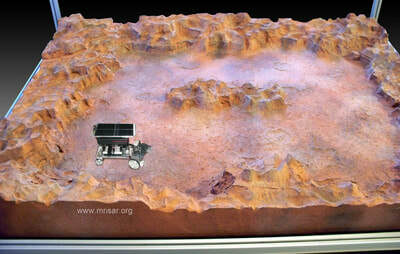 The probe has a camera mounted to it that sends images to a video screen, allowing you to operate it via telepresence. Your Challenge! To figure out the most likely sites for precious materials and take readings within a specified length of time before the probe theoretically fails to operate due to the harsh environment. This exhibit relates to STEM education. 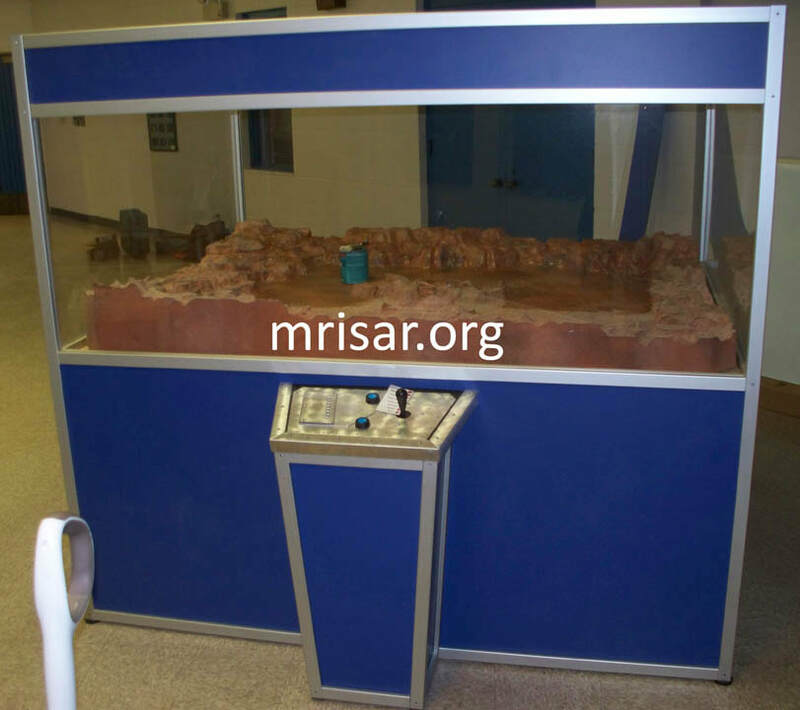 We have been making this exhibit since 1999. 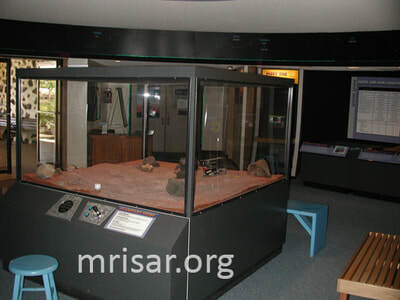 This is a popular exhibit. We also sell it in kit form. Below are a few images of the Planetary Probe Robot Kits that were purchased and incorporated into: a NASA Funded Exhibition at Bishop Museum, Hawaii in 2000; the traveling exhibition "POPnology"; and at the Evergreen Aviation & Space Museum. As you move the probe across the surface, occasionally press the scan button. 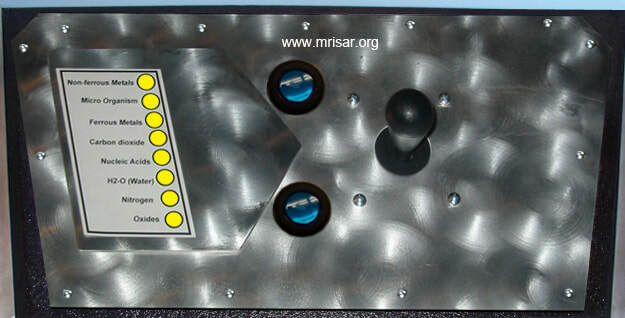 If an item is detected nearby, a yellow light will glow on the control panel next to the name of the substance you are near and a voice will speak the item name aloud. 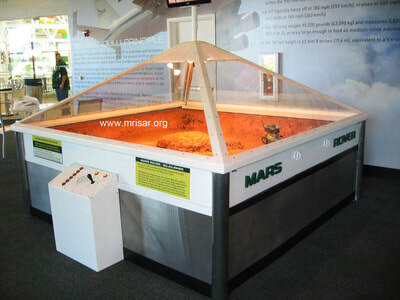 At the end of the time interval the probe will stop responding to control signals, but the memory of the finds it makes will be kept until the next user pushes the start button. 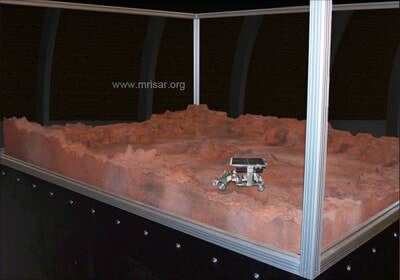 As with a real mission our simulation only supplies slight surface color hints as to what might be under the surface. 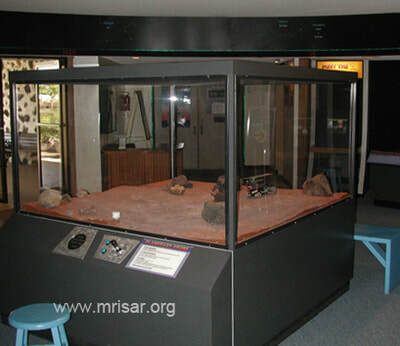 This exhibit features voice feedback as a standard with no extra charge, allowing the exhibit to prompt the user as to the status of their progress in trying to find as many of the eight items as possible. The Control panel is designed to present a list of vital elements that you are looking for on a mission in the alien terrain. 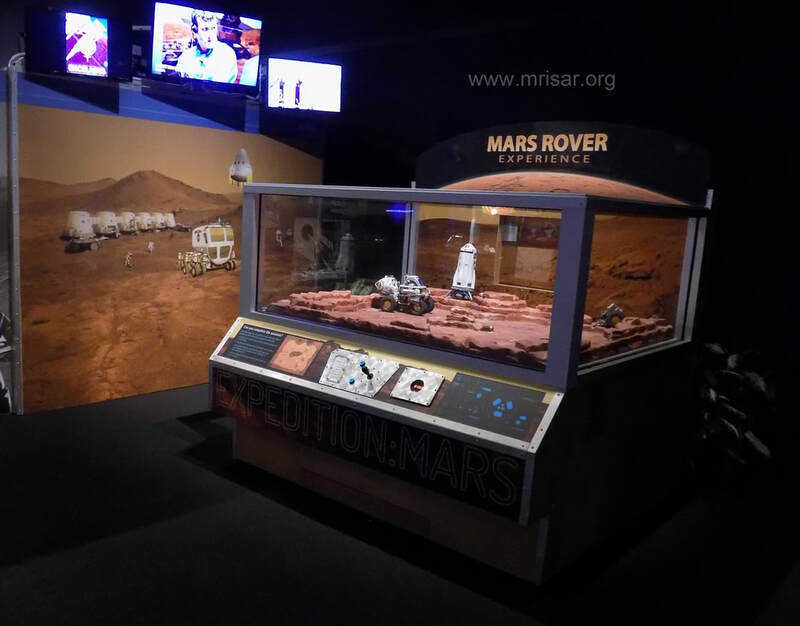 The exhibit is suited for locations in the middle of the floor as it is view-able from all sides through tinted poly-carbonate panels. 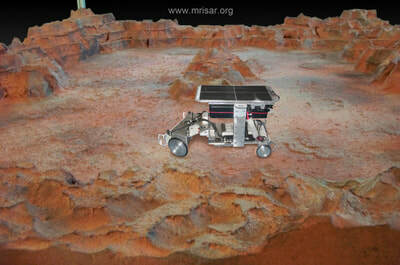 The control panel is updated as the probe passes areas on the terrain that have sensors mounted underneath, while the and the sensor button is pressed. 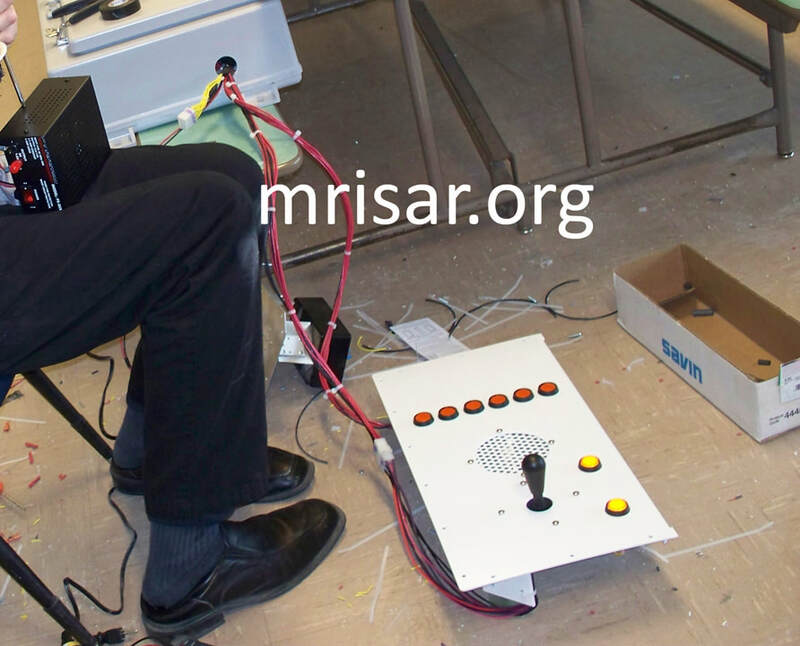 It contains a joystick for maneuvering, a timed start button and a scan button. Display Panel; has a series of lights (LEDs) that denote the detection of the elements. Light and tone are controlled by a number of photo resistors which are embedded in the terrain. It uses a Code Blocked Radio Controlled System to operate the probe. 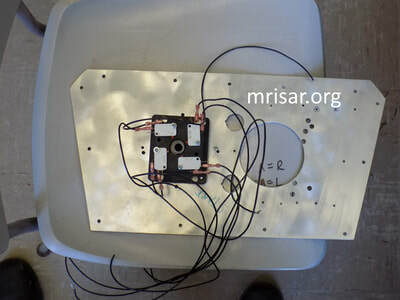 Sensors; the sensors are photo resistors which when embedded in the terrain detect the movements in the passing of the probe as its shadow casts across them. 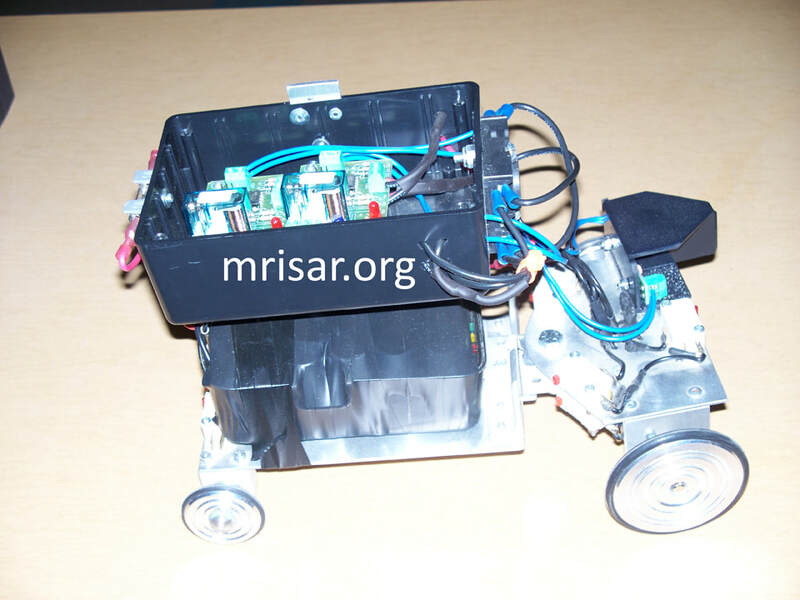 The probe has a series of limits that detect its wheel orientation and objects in its way and acts accordingly to override incorrect moves made by the user that could otherwise impede its movements. 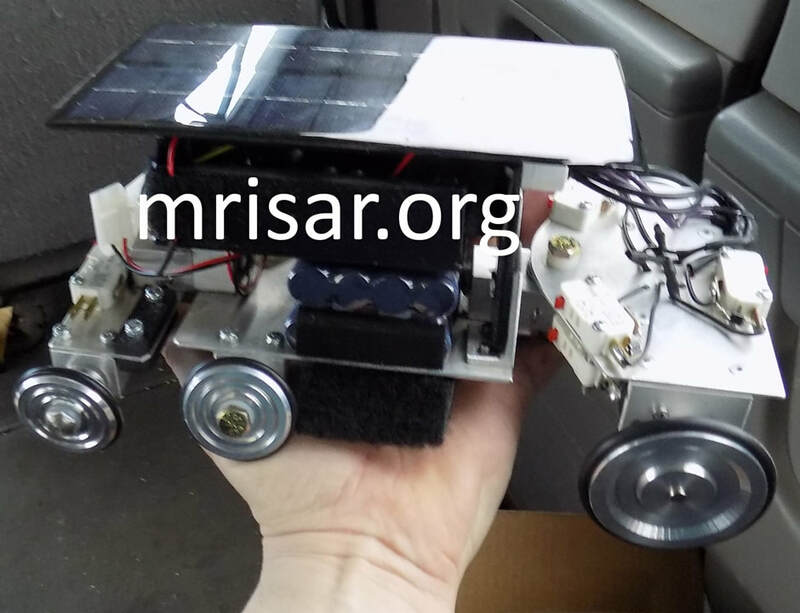 The probe is a remotely controlled robot which has a solar panel that supplements the power for the mobile unit by way of lights mounted in the top of the exhibit. The rest of the mobile unit’s power is provided by a set of rechargeable batteries. 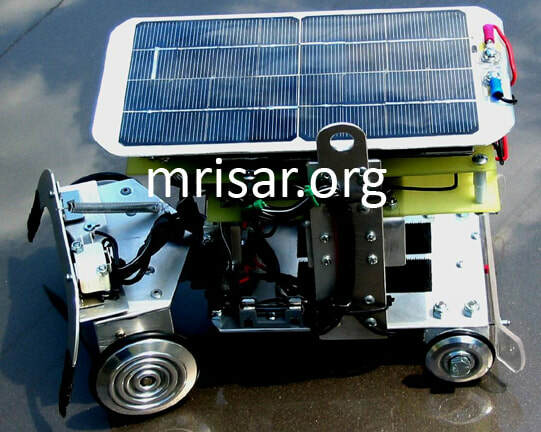 The probe has a top mounted photovoltaic panel that provides supplemental power to the rechargeable battery pack in its base. 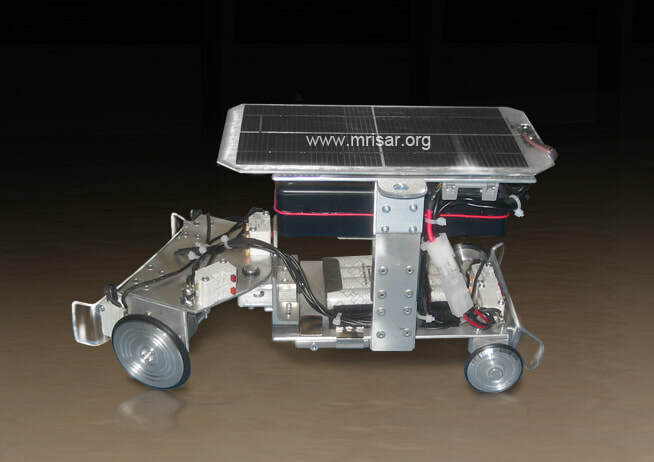 The solar panel is a high quality encapsulated panel which is constructed with the same quality of photovoltaic materials used on satellites and actual probes in space. 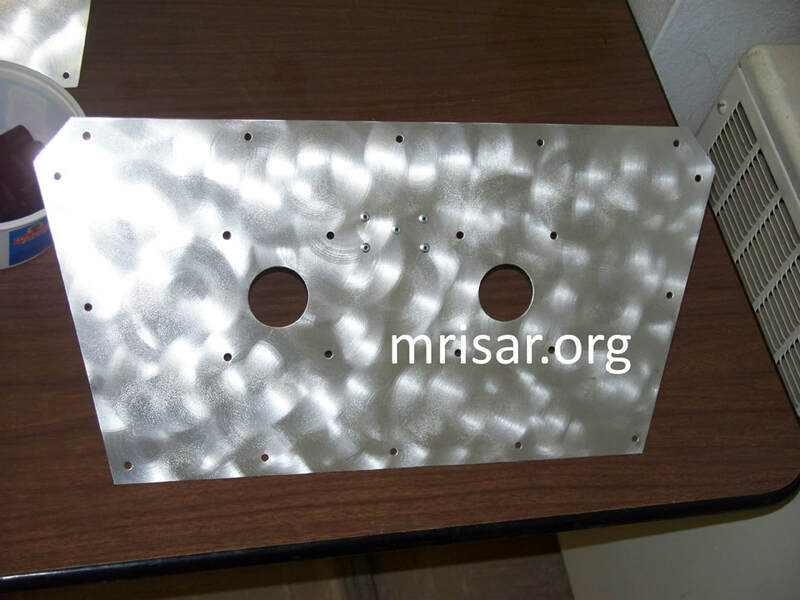 The panel is backed by a rigid aluminum underlayment. 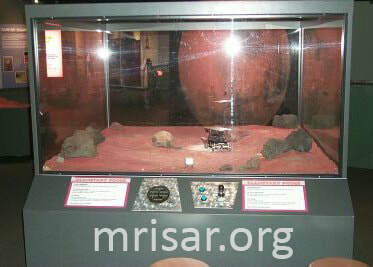 The light that it converts into electricity for this purpose is from the lights in the top of the exhibit. 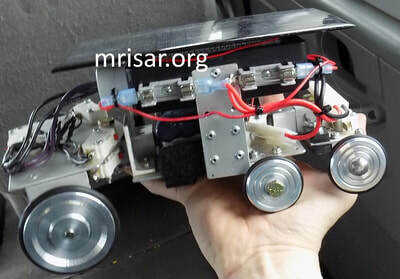 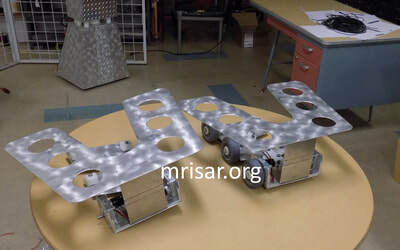 The unit features 2 DC operated servos for the front wheels and a central pivot assembly that allow the front and back wheels to slant independently so that it can traverse convoluted surfaces. The wheel servos have high efficiency-motors that operate on low voltage and extremely low amperage with a high gear ratio. Timing is provided by an adjustable module. 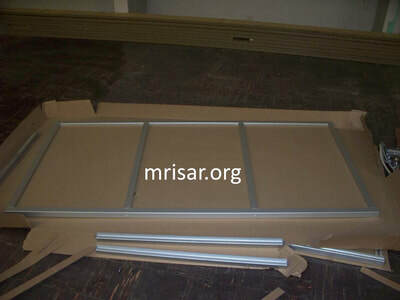 Power distribution and fusing are board-mounted next to the supply and include a standard barrier strip. 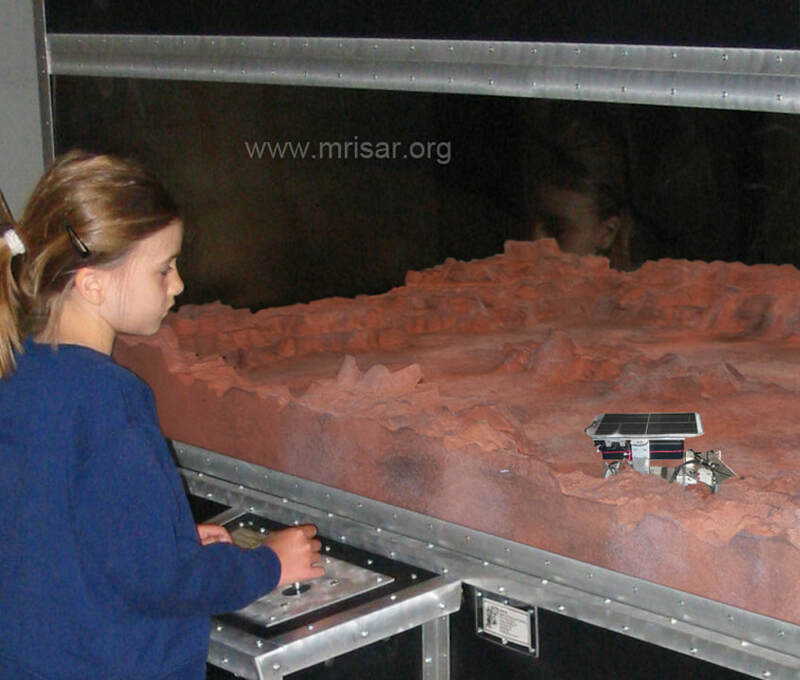 ​Landscape; we designed our landscape to look like a hypothetical planetscape. It features a perimeter mountainous area. The probe is designed to slip when trying to climb this rise to prevent it from tipping over. 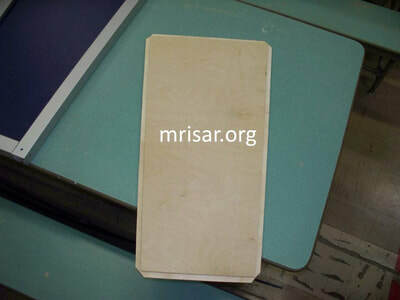 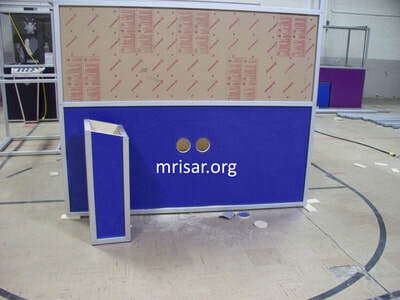 The rise itself is placed along the perimeter to prevent the probe from coming in contact with the case walls. 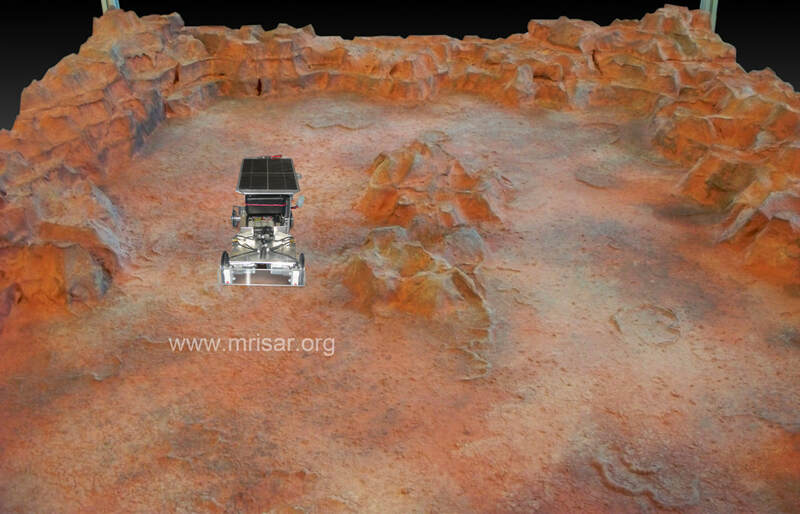 We have placed the sensors in the landscape in areas that the probe can freely travel. 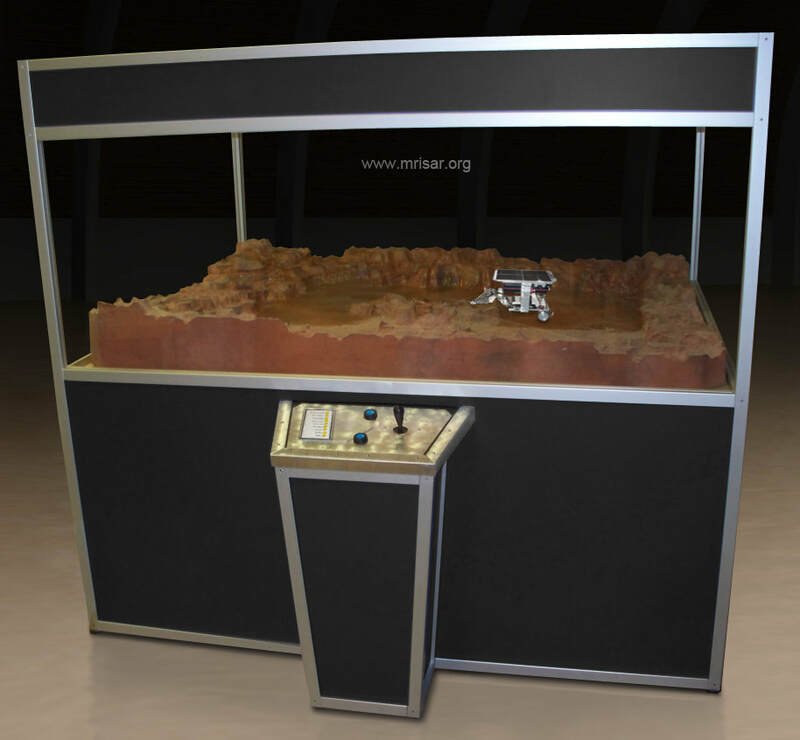 The components for this exhibit are also sold in kit form. 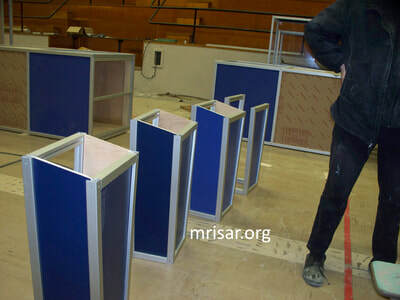 You just have to build your own case. Below are images of a few examples of our Planetary Probe Robot Kits that were purchased and incorporated into: a NASA Funded Exhibition at Bishop Museum, Hawaii in 2000. 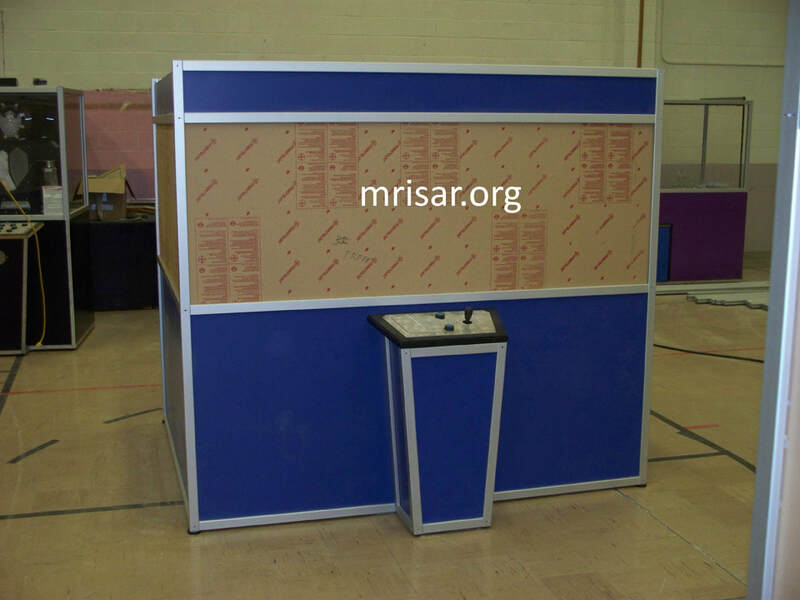 They built their own case and put our components in it. The exhibit is still functioning smoothly! 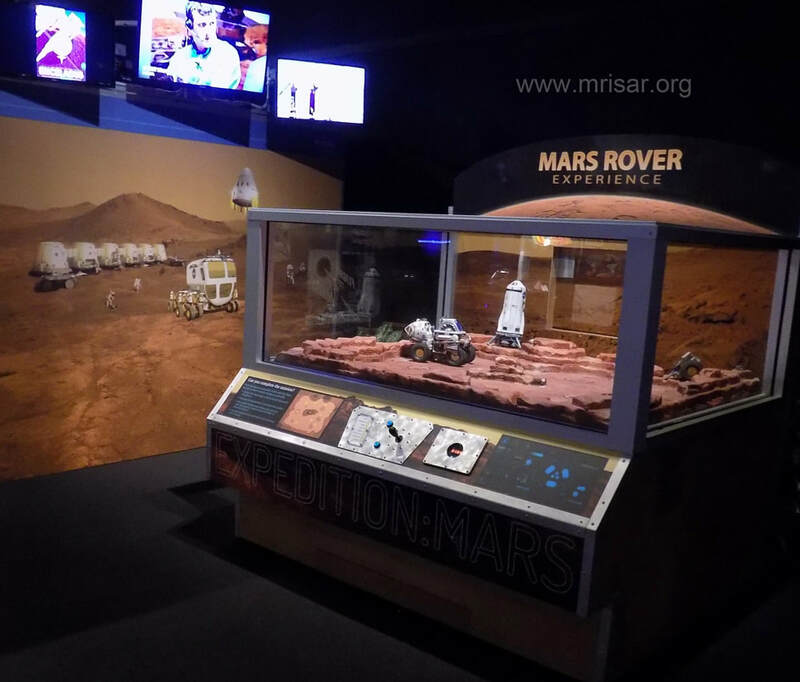 ; the traveling exhibition "POPnology". 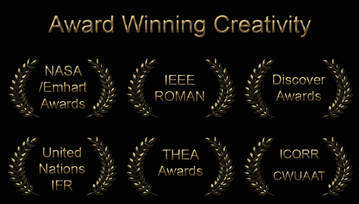 The media coverage stated that our part of POPnology was exceedingly popular! 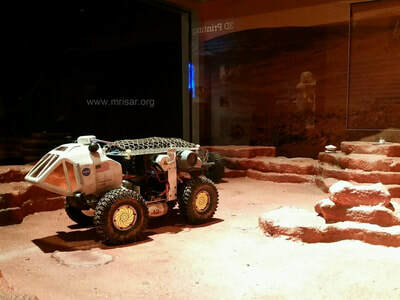 ; and at the Evergreen Aviation & Space Museum, in McMinnville, OR. 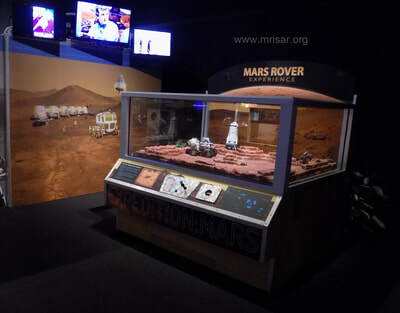 It is an aviation museum which displays a number of military and civilian aircraft and spacecraft, most notably, the Hughes H-4 Hercules Spruce Goose. 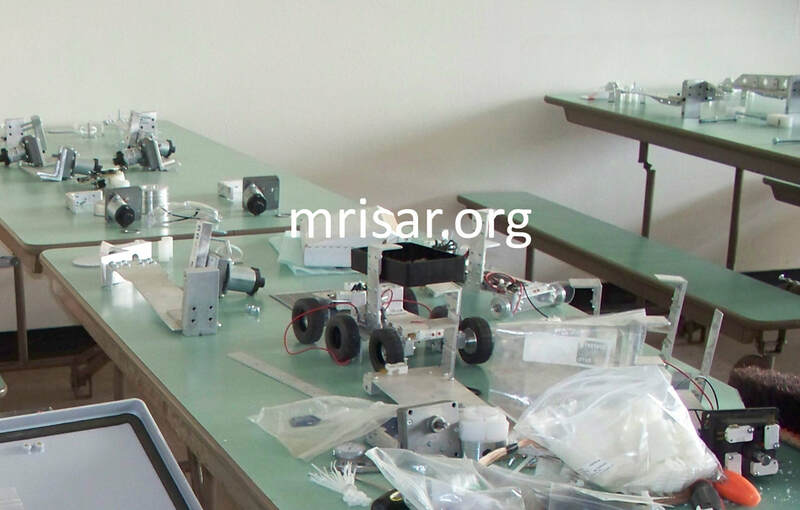 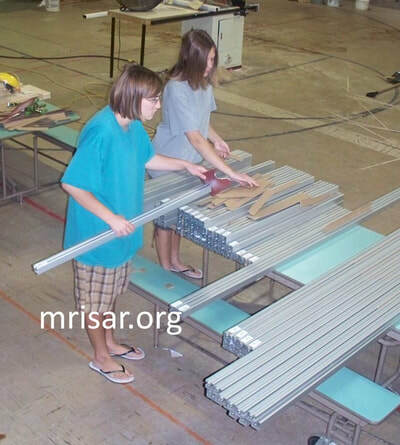 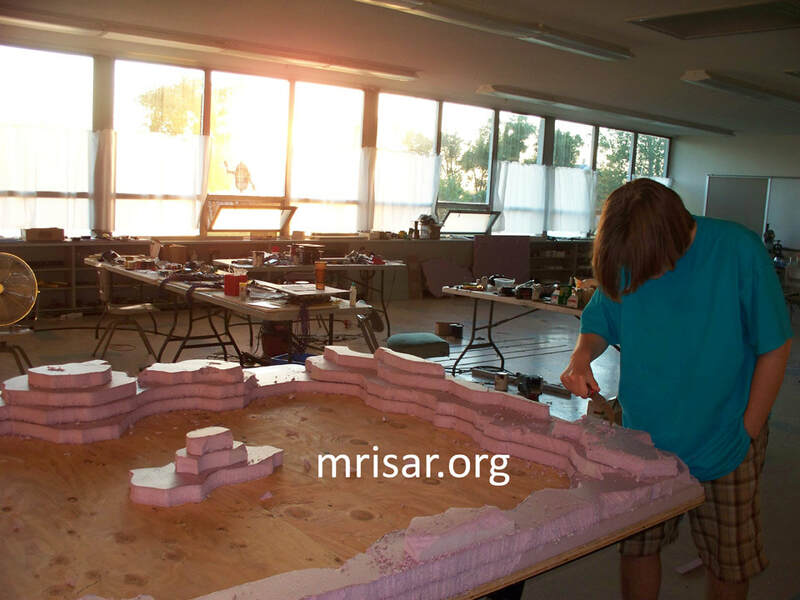 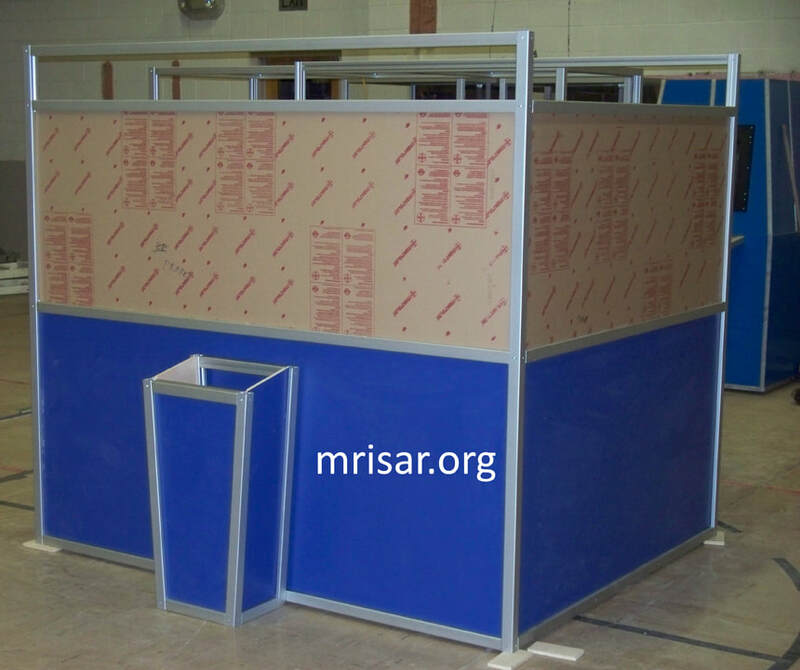 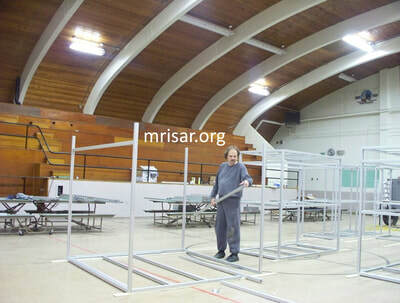 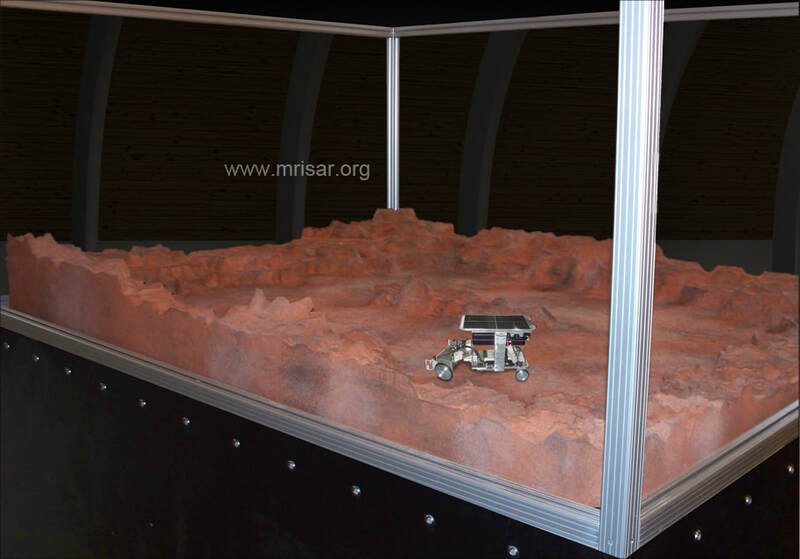 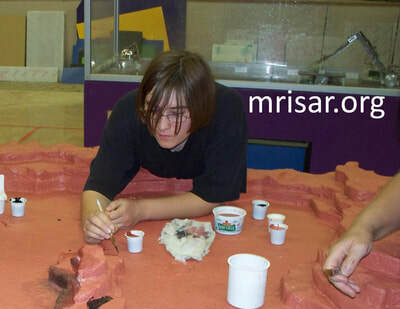 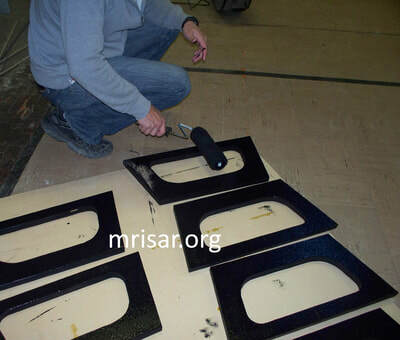 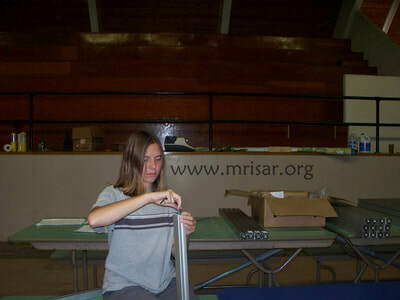 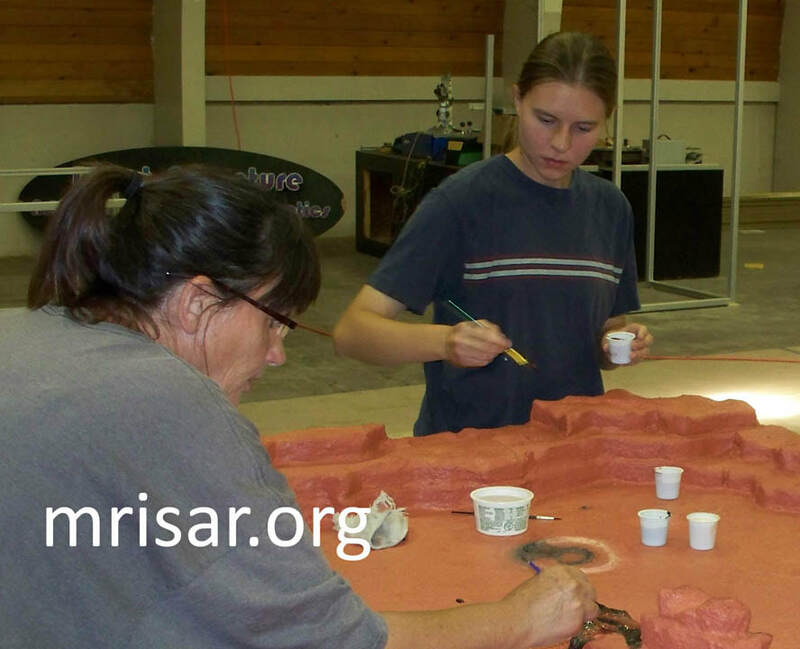 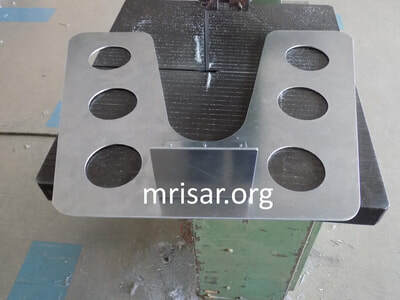 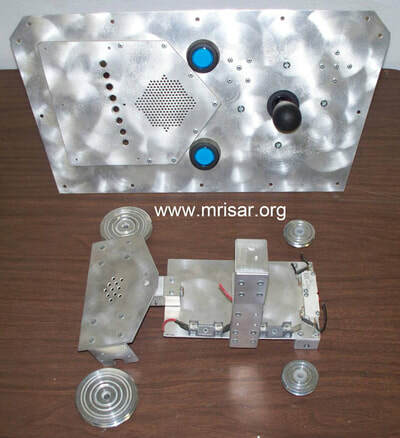 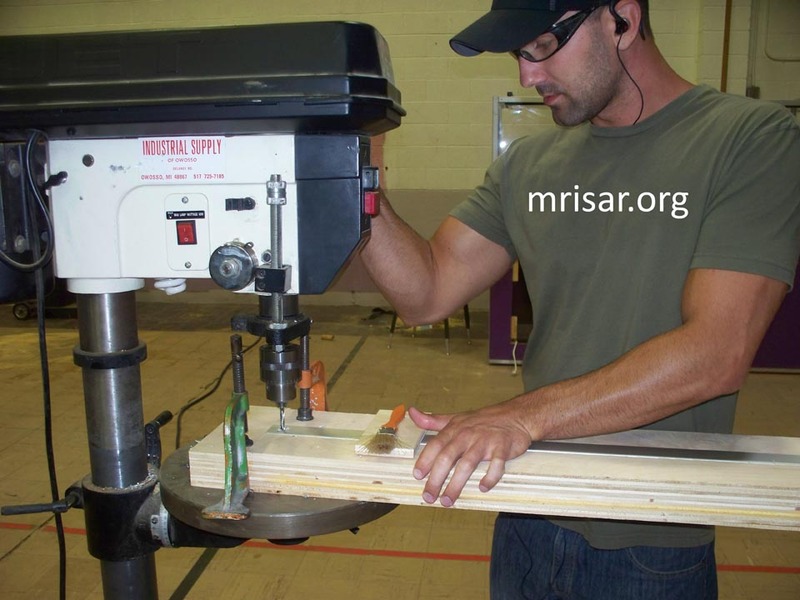 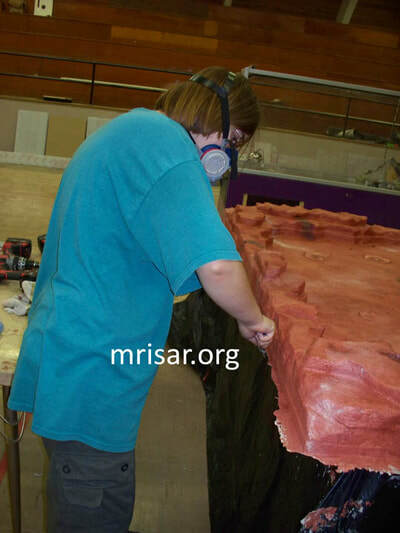 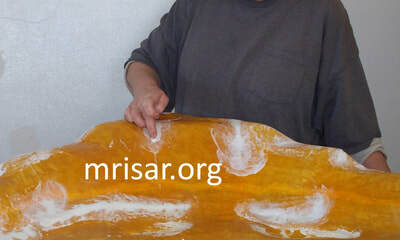 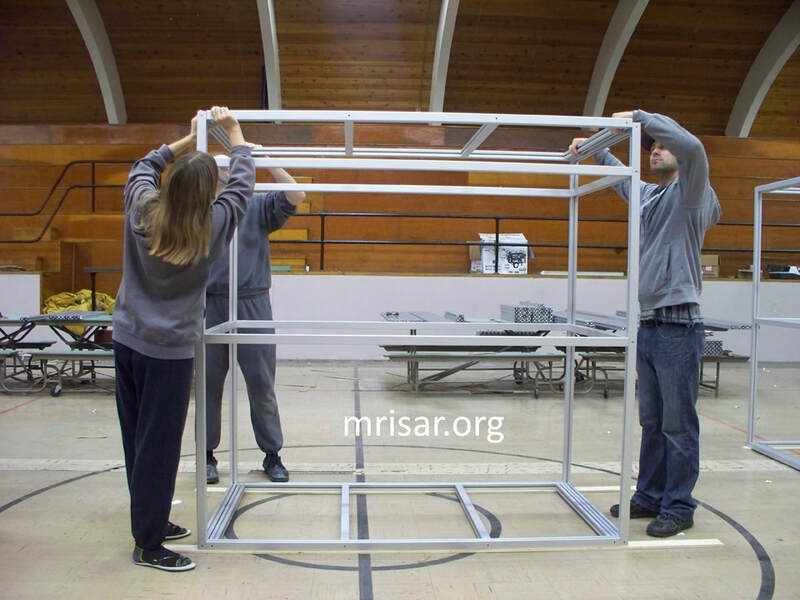 ​Below are two image galleries of the MRISAR Team during the fabrication and testing process of our Planetary Probe Exhibits! 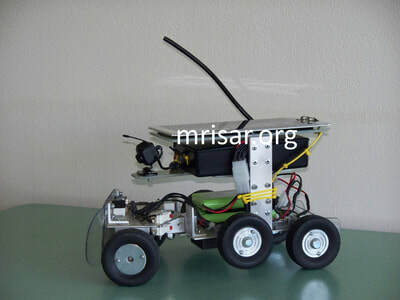 We also sell them as a kit. We have been making exhibit robotics since 1991.